DIREKT FRÅN ZAMBIA Plan Zambia in Chibombo has been implementing a project funded by Post Code Lottery of Sweden. One of the areas the project has been addressing is child health. 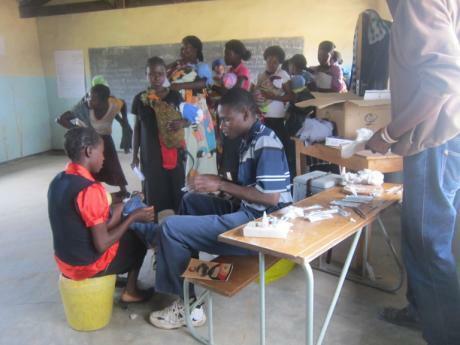 Chibombo has very few rural health centers where the community members access health services. Community members travel long distances to go to the nearest health centers. 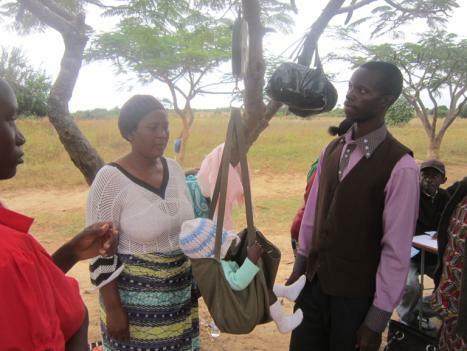 Plan Zambia trained some community volunteers in growth monitoring who are working with the health center staffs. On this particular day the health center staff and community volunteers conducted an outreach program in Kabakombo area of Chikonkomene community. The outreach programs are done to take health services closer to the people so that they can access the services closer to their homes. During the outreach a lot mothers brought their children for under five clinic where most of the children were immunized against preventable childhood illnesses. The immunizations are done during the outreach programs. The health staffs with the community volunteers travel to far areas and offer those services to the community members. Over 300 children received the services during this particular outreach Program in Kabakombo area of Chikonkomene in Chibombo.